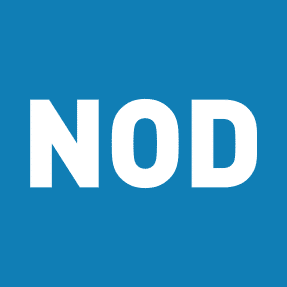 NEW YORK (APRIL 5, 2019) – Last evening, the National Organization on Disability (NOD) convened its Corporate Leadership Council, a membership body comprised of 50+ companies committed to promoting disability inclusive workplaces, for a Networking Roundtable hosted by L’Oréal USA. The forward-thinking event, Driving Innovation through Employee Resource Groups, provided an in-depth look at businesses excelling at building disability inclusive cultures through their Employee Resource/Affinity Groups (ERGs/AGs). Today, 90 percent of the country’s Fortune 500 companies have ERGs. Many of these groups were founded as a response to discrimination, but in recent years, these groups have been increasingly recognized for their valuable contributions they bring to their employers, especially with regards to diversifying talent streams. The evening featured speakers from L’Oréal USA including President & CEO, Frédéric Rozé, as well as Senior Vice President, Diversity and Inclusion, Angela Guy. In addition, there was a lively panel discussion featuring representatives from L’Oréal USA, Capital One, EY, and New York Life. Shane Nelson from DiversityInc also presented on best practices of ERGs. Don’t Miss the next Corporate Leadership Council event! June 13, New York City | Executive Luncheon: Closing the ‘Trust Gap’. Not a member of the Corporate Leadership Council? Find out about the many benefits of joining today!